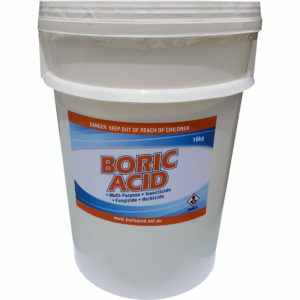 Where to buy boric acid? 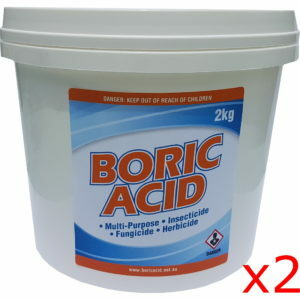 If you’re looking to buy some boric acid, there’s an easy way and a hard way. It is a very difficult product to find. You can visit all the typical stores that you would think, as I did, and you will not find it. It’s puzzling why it’s not available at the stores in Australia because there are so many wonderful uses of it. 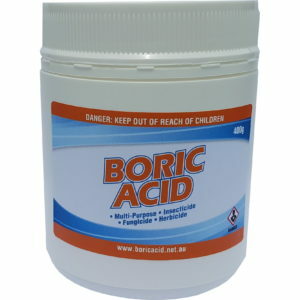 I’d like to share with you my story (my mission) of buying some boric acid. It’s one of the main reasons I started offering it for sale online. The first place I looked was in Coles and Woolworths. I looked up and down the laundry detergent aisles with no luck. I had a look around for Borax as well but they didn’t stock that either. I enquired as to whether they would have any, and no was the answer. They suggested checking hardware stores, like Bunnings, Mitre 10, Masters or Home Hardware. If ever you have to do the run around to four hardware stores, can I recommend one thing? Don’t! It takes too long, get on the phone. 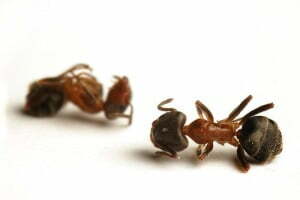 I drove around to all four looking for boric acid and came up empty. I did also look for Borax and found that Bunnings do stock it. 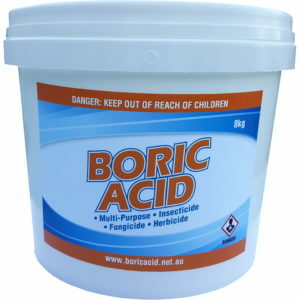 With boric acid not being readily available to buy in stores, I thought there may be something about it that was restricting its availability. I spoke to a few friends and they said I wouldn’t be able to just buy it. The reasons they cited were because a) it’s a chemical b) it’s an acid and c) it’s poisonous and therefore not available to the general public. I was surprised by this so I got online and looked for government regulations around its supply and distribution. I got in touch with the Pharmaceutical services group of the NSW government who appeared to be the leading regulator. Schedule 5: Poisonous substances of a dangerous nature commonly used for domestic purposes which should be readily available to the public but which require caution in their handling, use and storage. Examples are household bleaches above a certain strength, kerosene, methylated spirits, and some domestic insect sprays. 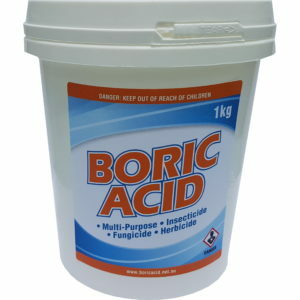 Boric acid is classed with all your normal household cleaning and washing products. Great I thought, and the next day bought a whole bunch of it! 50kgs to be exact. That’s way too much for one person to ever need, but I had a broader reason. The reason was to save you all that trouble and provide you with a great source of boric acid. Our store! We’ve tested the offerings of other brands and they just don’t cut the mustard. When I think of how common household chemicals are packaged I think of solid, self-standing containers made of either plastic or solid cardboard. You not only need the best quality product, but also the best, easiest, and proper means of storing it. We have a wide range of amounts available, from 400g right up to 16kg. 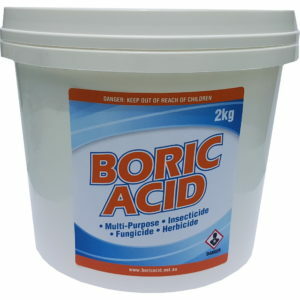 If you’d like to know more about our product, then check out the benefits of our 100% Australia owned boric acid!